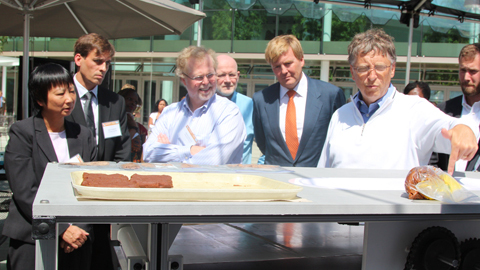 From left: Professor Yu-Ling Cheng, Professor Mark Kortschot, Nathan Myhrvold, the Prince of Orange and Bill Gates. 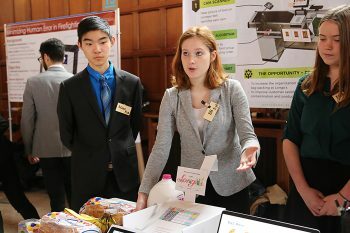 A University of Toronto (U of T) team led by Engineering Professor Yu-Ling Cheng, Director of the Centre for Global Engineering, has garnered third place and $40,000 (USD) for their design of a toilet for the developing world. The design was a response to the Bill & Melinda Gates Foundation’s Reinvent the Toilet Challenge, which seeks to develop a waterless, hygienic toilet that is safe and affordable for people in the developing world that doesn’t have to be connected to a sewer. 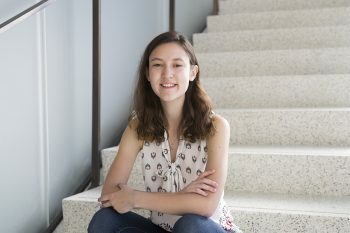 U of T was one of eight universities from around the world to receive the initial phase one funding of almost $400,000 each. That investment allowed the teams to test their conceptual design. Those designs were showcased at the Gates Foundation’s Seattle headquarters, where the Reinvent the Toilet Fair was being held. The U of T solution is novel in its simplicity. It uses a sand filter and UV-ray disinfecting chamber to process liquid waste and a smolder chamber, similar to a charcoal barbeque, to incinerate solid waste that has been flattened and dried in a roller/belt assembly. The result is a toilet that is sustainable, easy to use and that processes waste while protecting the community from contamination. A video fully explaining the design is below. Traditional toilets, which rely on running water, an extensive sewer network and an expensive processing system, are currently failing to the meet the needs of 2.5-billion people around the world according to the Gates Foundation. An estimated 1.5-million children die each year due to diarrhea caused by poor sanitation. At a ceremony held on August 15 at the Fair, Bill Gates announced the U of T team has won third place. Also recognized were teams from the California Institute of Technology (first place; $100,000), Loughborough University in the United Kingdom (second place; $60,000 USD), with a special prize presented to Eawag (Swiss Federal Institute of Aquatic Science and Technology) and EOOS ($40,000 USD). “The efforts of the University of Toronto team, who is tackling one of the world’s pressing health challenges, have been tremendous. I congratulate the entire team for this richly deserved award, and thank Professor Yu-Ling Cheng who has led the development of this novel toilet system, combining ingenious designs and research with social and geographic constraints, to improve sanitation and global health,” said Professor Cristina Amon, Dean of the Faculty of Applied Science & Engineering. 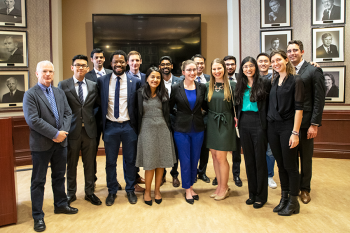 In addition to Professor Cheng, the U of T team included Engineering Professors Mark Kortschot, Elizabeth Edwards, Yuri Lawryshyn and Levente Diosady, and research associates/graduate students Zachary Fishman, Tiffany Jung, Samuel Melamed and Meagan Webb. Their efforts were supported by partners at the University of Edinburgh, Western University, OCAD University and technical experts in Bangladesh.